There is little doubt adventure biking has taken hold of public perception and big trail bikes are part of many makers’ ranges as enthusiasts clamour for machines which emulate the Paris Dakar mounts thrashed across remote desert regions. 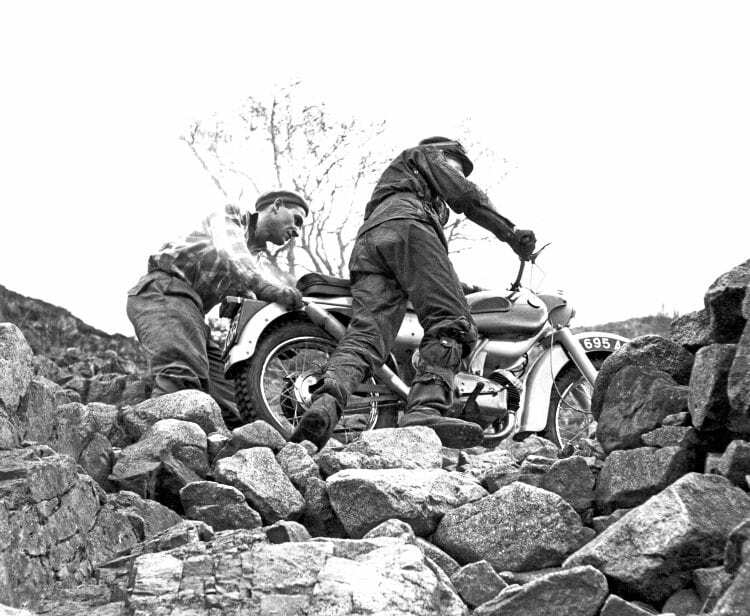 There is even a series of challenges run by BMW which take riders of such adventure machines all over the world. Of course many such machines never see the off-road world but the very attributes which make them suitable for demanding terrain make them extremely useful around towns and highways in normal riding. Look back into history a little though, and the adventure thing has provided a lot of valuable publicity for motorcycle factories, and in some cases created a market for which they had to create a machine to fulfil. Or possibly, enthusiasts had recognised the alternative potential in a machine and suddenly its maker had to play catch-up.